GRILLER Z - Version 2 in production tests now! GRILLER Z - Development in Table Top Simulator! Welcome to Flux 6 Studios! We are a group of passionate developers and artists working to build awesome experiences for games across a ton of platforms. Because we love toys and games from all over, we also produce product reviews filling you in on some of our favorite games and hobbies from other awesome companies! 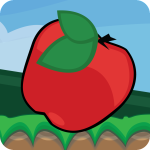 Hero Drop (iOS & Android formerly Newtonian Falldown) – Jump, slide and drop into an exciting new world filled with challenging obstacles and adorable critters. Move ever deeper in and out of 8 classic worlds as you race to the finish!!! Try to collect as many critters as possible before time runs out!!! This game is available on both Android and iOS devices. 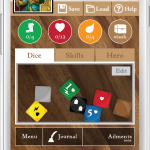 Check it out on the Google Play store & the Apple Appstore, or find out even more info on the Hero Drop developer page here: Click me! Griller Z (Board Game Version) – Ack! Another Zombie infestation. Birds… (shrug)… or something, spread the disease and it’s bad. For really real bad! These Zombie’s are hungry and ready to eat brai… braised beef!!! Gather your friends and head to the back yard for the grilling battle to save humanity. 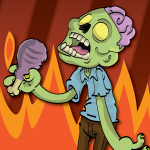 Play as either a zombie or a human in this EPIC grilling masterpiece. Griller Z will soon be available for purchase at TheGameCrafter.com. Check out the latest info on the Griller Z archive page found here: Click me! Descent Developer (Scraped Project 2014) – A failed experiment, Descent Developer was a labor of love that likely will never see release. It was a fun experience, and a great learning experience! To find out more, and to see the progress of this now defunct product check it out here: Click me!